show recognition and gratitude for our work during the holiday season! Over the last 7 days, the Greater New York Red Cross provided emergency assistance to 145 adults and 48 children following 65 local disasters. Here are some highlights from last week and a preview of upcoming activities (see below). On Sunday, Red Cross staff and Service to the Armed Forces program provided preparedness education to US Army Reserves and their families as part of the 8th Medical Brigade, HHC's Family Day event. Red Cross Volunteers worked with City Santa NYC, helping to provide basic necessities, books, toys and other gifts to families in need for the holidays. Our volunteers spent their Friday at the New York City Service Center, continuing to provide support, supplies and comfort to those affected by Hurricane Maria. Such a great opportunity to meet with Senator Marty Golden for meeting with us on emergency preparedness and readiness. 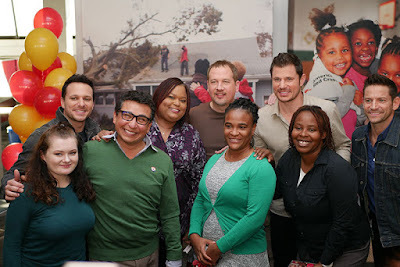 Thank you for supporting our mission! Red Cross on the scene Jamaica Avenue fire on Wednesday! Volunteers assisted residents with the help of the NYPD. Assemblywoman Helene Weinstein took the time to meet with members of our team including our interim CEO to speak on her fight for women and children! 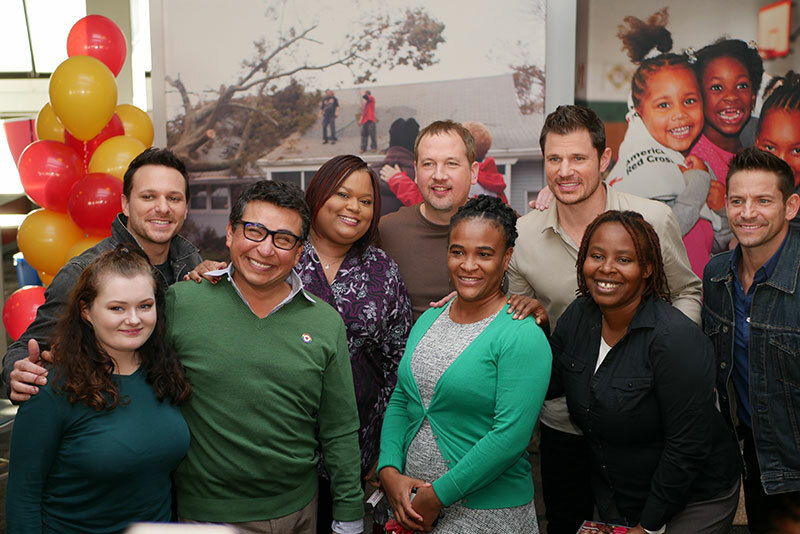 Special thanks to 98 Degrees and Mastercard for stopping by to honor the work of our volunteers! Such a special day to spread the holiday cheer (watch video here)! For Red Cross Volunteers Only: Red Cross support for the hurricane evacuee service center in East Harlem continues and we need your help. Click here to sign up for available shifts in Volunteer Connection! Dec 5, 8, 9, 11: Red Cross blood drives will take place from 2 to 7 p.m. at the Greater NY Red Cross building located at 520 West 49th Street, Manhattan. Schedule an appointment to donate today. Dec 13: Sound the Alarm. Save a Life. fire safety event will be in Brentwood on Dec 13 installing free smoke alarms from 10 am to 1 pm. To schedule a free smoke alarm installation and/or to volunteer to help make your community safer, please visit redcross.org/lifiresafety. Dec 17: Sound the Alarm. Save a Life. fire safety event will be in Brooklyn on Dec 2 and 17 from 10 am to 1 pm. To schedule a free smoke alarm installation and/or to volunteer to help make your community safer, please visit redcross.org/nycfiresafety.